A shining example of how brilliant and impactful musical theatre can be: a show which truly is beautiful. 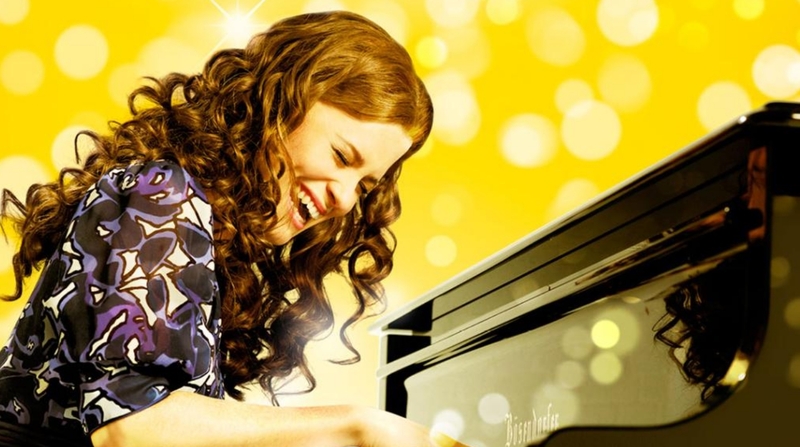 The life and career of the singer/songwriter Carole King undoubtedly had its ups and downs, but it is truly celebrated in Beautiful, the jukebox musical charting her story through her famous music. Even if you haven’t heard of King, you will most likely know at least one of her songs, which include ‘You’ve Got a Friend’, ‘(You Make Me Feel Like) A Natural Woman’, and the titular ‘Beautiful’. The talented cast and band bring this genius musical alive with their incredible energy and truthful acting in this new touring production fresh out of the West End. From the start, we are thrown straight into the 60s with a jazzy overture hinting at the music to come, this instantly puts the audience in a cheerful mood. The show opens with King (Bronté Barbé), playing piano at Carnegie Hall in her later career, and after a brief monologue we are into the late 50s. We see her leave college to pursue song writing, meet her writing partner and husband of nine years, Gerry Goffin (played by Kane Oliver Parry), compete with rivals-turned-friends Barry Mann and Cynthia Weil (Matthew Gonsalves and Amy Ellen Richardson) for top of the charts. This could so easily be written in an inelegant fashion, relying on the music to drive it: as can be the case with many jukebox musicals. Yet the book from Douglas McGrath, combined with the music of King, Goffin, Mann and Well is nothing short of genius. The musical flows in a slick and impressive manner, and there is not a slow or dull moment to be found. Barbé is simply stunning as King. She has a gorgeous singing voice, clear with a quality that allows it to glide effortlessly throughout the auditorium, but there is also a remarkable genuineness in her performance. We intently watch her journey to fame, feeling every high and low along with her, and she really is a wonderful actress. Parry also gives an impressive performance as Goffin, the chemistry between the two so strong that they are a delight to witness on stage together. Gonsalves and Richardson perform well as the ‘counter’ couple of the show, providing some great comic moments between the two of them. The support from the ensemble is outstanding, and their transitions on and off stage, which were often very rapid depending on what the music demanded, were seamless. Mostly portraying the artists the leads wrote music for, they deliver the unmistakable sound of the 60s, successfully taking a delighted audience back in time. Of course, the singing would have no impact without the brilliant job done by the pit orchestra, who complete the 60s vibes. Music is very much at the heart of this production, which is clear from the simple wooden piano which is nearly a constant presence on stage. This allows the actors to sit down at it and step away in smooth motions, never drawing away from the action. There is also something very touching about seeing the four leads, in various combinations, gathered around the piano singing together in glorious harmonies. This keeps the story feeling cheerful and uplifting, with a continual feeling of hope throughout, no matter what situation the characters found themselves in. This cheerful feeling ultimately sums up this tour of Beautiful, a pleasure to watch thanks to the sheer joyfulness which radiates around the entire theatre – it is impossible to leave without a smile on your face. Beautiful is playing at the Mayflower Theatre, Southampton, until Saturday the 30th September.